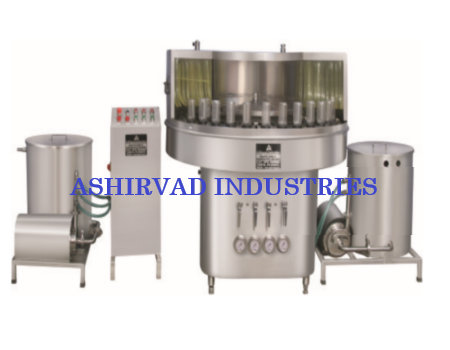 Four Inner, one outer and one air wash.
Higher capacity centrifugal pumps to wash bigger bottles. Model No. AISRW-32 / AISRW-64 / AISRW-96. Pumps 02 Nos. 1 HP x 2 = 2 HP / 415 Volts / 50 Hz. Tank Capacity 20 Later – 02 Nos - S.S. – 304.